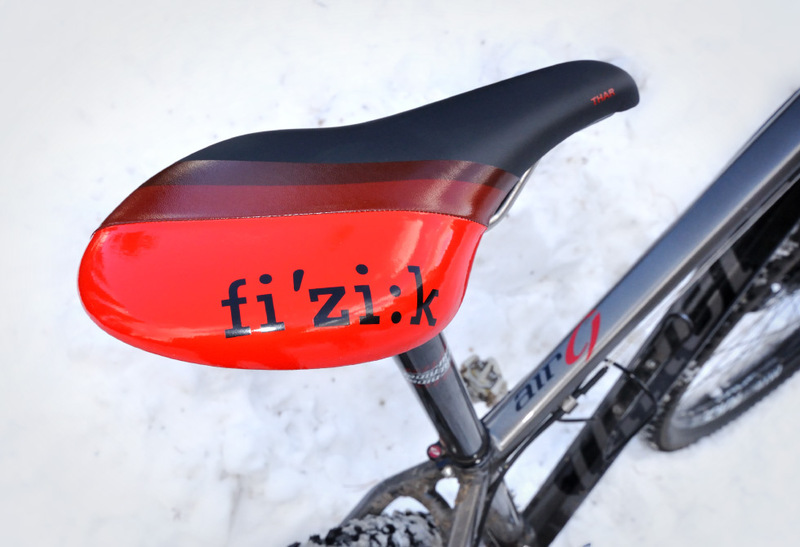 Introducing the fi’zi:k Thar Mountain Bike Saddle, a saddle tailored for your 29er. We recently acquired the fizik Thar MTB Saddle for review, and as sceptics we weren’t sure about a saddle specific to wheel size, but I guess you can’t judge a book by its cover. 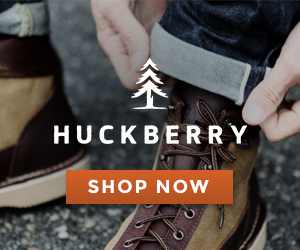 What about 29″ wheels could possibly necessitate a change in saddle geometry? 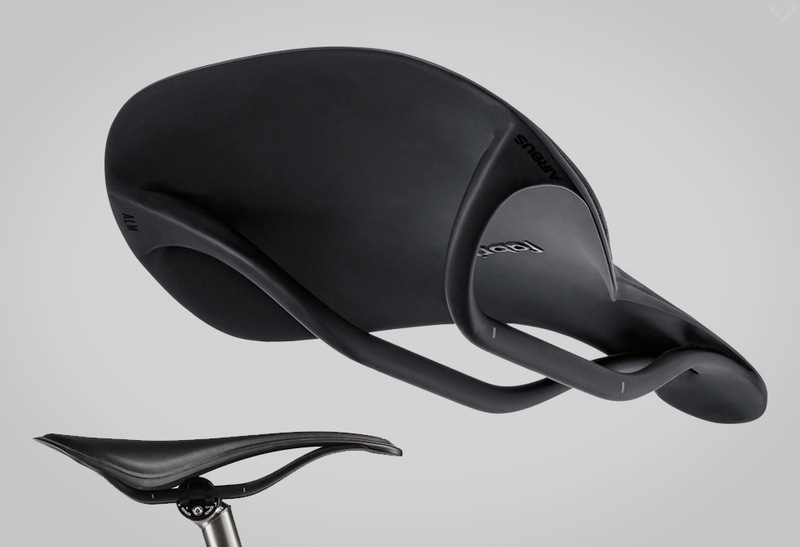 Yes, those were our thoughts also when we heard about the fizik Thar mountain bike saddle. According to the fizik website, the extended seat rails (25mm longer than normal) allow for a more compact forward sitting position, increasing comfort and helping the rider find optimal positioning. While skepticism ensued, we approached this saddle with an open mind. Out of the box, the Thar is nothing short of lovely. 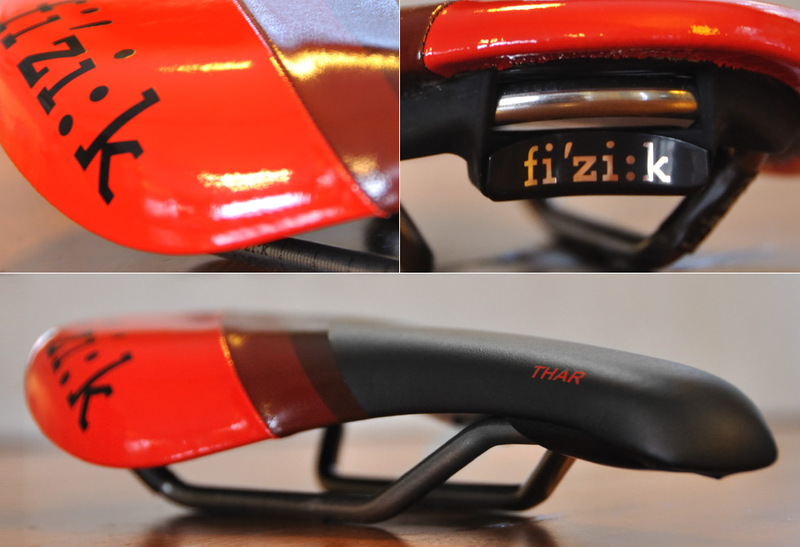 This particular model features a carbon-reinforced nylon shell, a cleanly sewn microtex cover in a sassy glossy red-to-flat black colour scheme, fizik’s proprietary K:ium rails (apparently lighter than titanium yet just as strong and comfortable), and fizik’s replaceable tuner insert tension system allowing the rider to choose between a softer or firmer saddle feel. 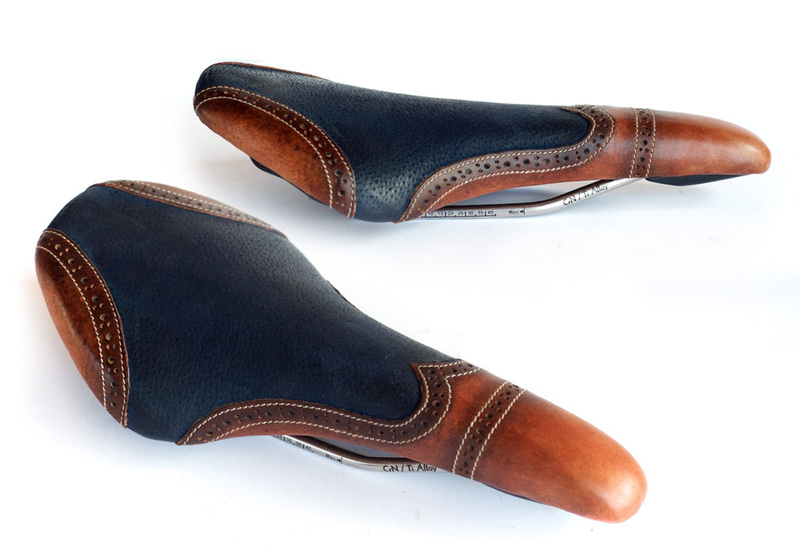 To achieve the multi-coloured look, the saddle is actually two sewn pieces of microtex. When we first saw this seam across the saddle body, we questioned the wisdom of adding an extra potential chafe point just for aesthetics. However, the stitching is fine enough and the saddle finish smooth enough that we were optimistic about the integrity of our, ahem, tender areas. At a paltry 195g, the saddle is lighter than your slurpee change and wins in comfort, durability, and aesthetics. The question of 29er specific functionality, however, has to be tested on the bike and out on the trails. Before mounting the fizik on our test bike, we should mention the fit of the “traditional” saddle which came stock on our Niner 29” hardtail. Even with the stock saddle in the forward-most position on the rails, our test rider’s position was somewhat long, preventing an optimal knee position directly over the pedals. With the fizik Thar installed, we were able to align our test-rider’s knee directly over her pedals with saddle rail to spare. See photos. We were impressed (and admittedly somewhat surprised) to see that producing a 29er-specific saddle isn’t a total gimmick. Score one for fizik. A note for the racers out there: we were slightly concerned that the extended forward position of the saddle might make the cockpit position illegal by UCI standards (nose of the saddle may not fall in front of the bottom bracket centre line). But we were relieved when we checked this, seeing the fizik saddle nose still falls well within legal limits. Our first impression when stepping over this saddle was the firmness. This ain’t your grandpa’s Lazy Boy. 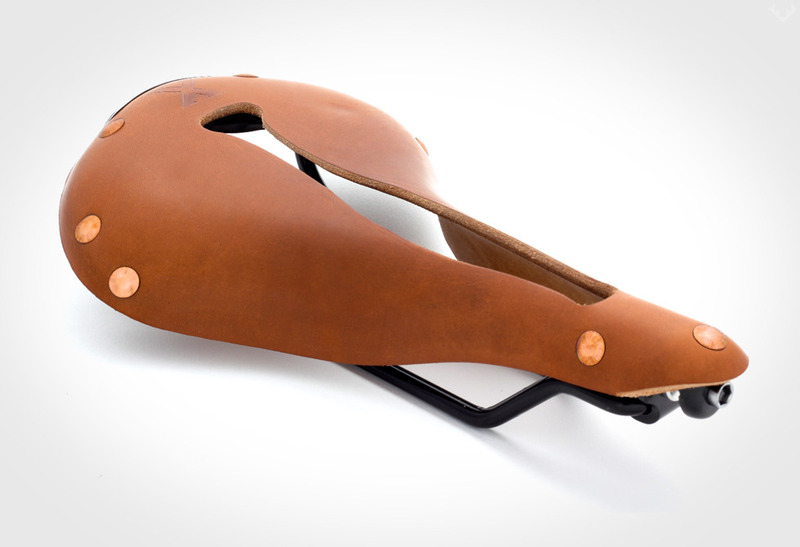 This saddle is firm, bridging on plank-esque. 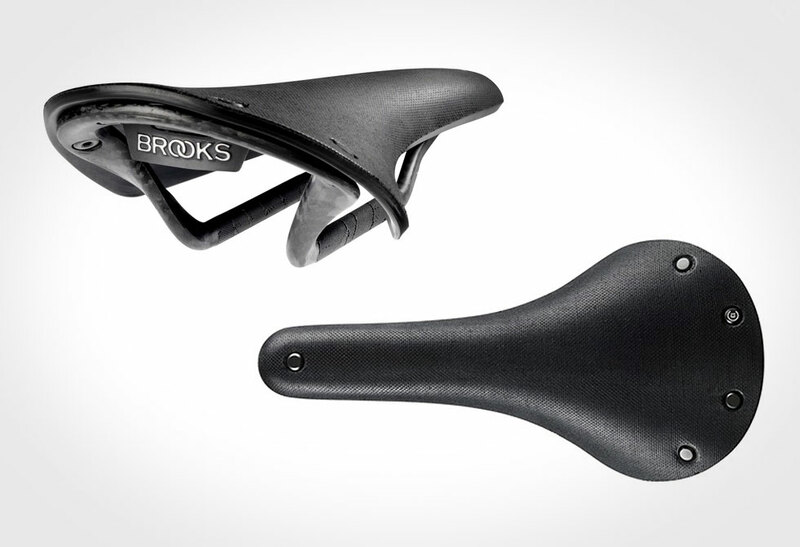 But the price point and features put this saddle in the high performance category already, so the feel is expected. 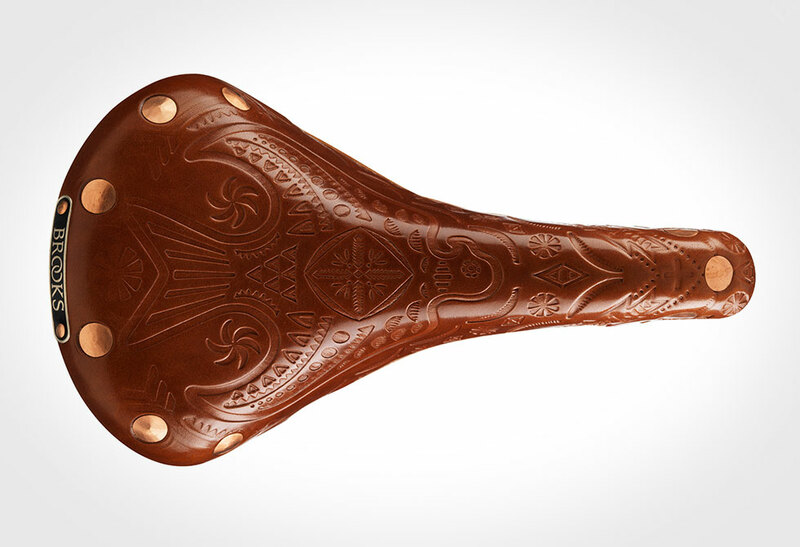 Forewarned, this saddle is best enjoyed with your favourite thickness of chamois. We also didn’t notice any extra friction from the saddle cover stitching. In fact, the glossy finish at the back of the saddle may add some functionality, making it a bit smoother when sliding off the back of the saddle (or back on) in steep descents. And despite the saddle’s sharp profile at the back, no shorts were caught on the back of the saddle in our tests. 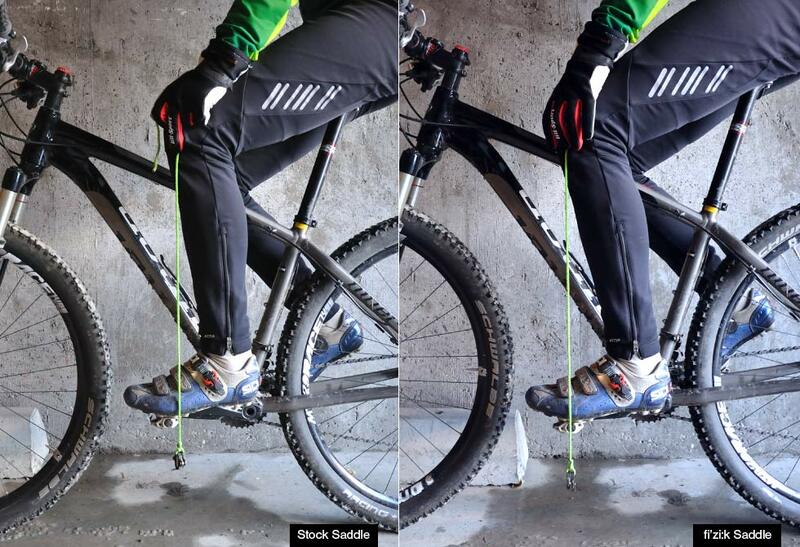 The now-proper alignment of the saddle came with expected improvements in the bike’s overall ride. The proper positioning of the leg over the pedals allows for better control and power, particularly on steep climbs, and the more compact cockpit improved comfort in general. In short, a better fit and a better ride. The clean lines, attention to detail, and emphasis on performance put the saddle high up on the list in any category. The longer rails on the fizik Thar finally allowed our test-rider to achieve proper knee alignment over the pedals, increasing power throughout the pedal stroke and tightening the cockpit, all with saddle rail to spare. If you’ve moved to big wheels on your mountain bike and are looking for a solid, sharp-looking product to tighten up your 29er or 650b bike fit, consider the fizik Thar K:ium. This is one test product we won’t be giving up any time soon. Get yours at Jenson’s online store. Special thanks to our contributors Dave Roberts and Bridget Linder of Canmore, Alberta for their review of the fizik Thar.